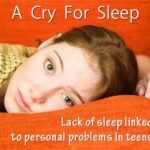 Teenagers need at least 9 hours and 15 minutes of sleep in a day. 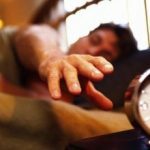 Parents usually nag their teenagers about going to sleep early, and when morning comes, teenagers seem to be difficult to wake up. But we should all be aware that these teenagers do not do it on purpose. You ask your son or daughter to sleep at around 10pm, and eventually he or she will be able to sleep on 2am. The reason behind this is the change in the circadian rhythm during puberty. 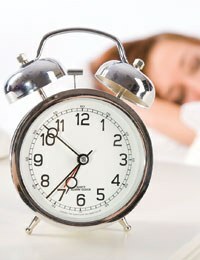 The internal body clock is also known as the circadian rhythm. It regulates the biological processes of the body in a 24 hour cycle. It is controlled by a structure in the brain called the suprachiasmatic nucleus. This also regulates the release of a hormone that induces sleep, which is the melatonin. Aside from that, it makes sure that some of the functions of the body are in harmony with the sleep-wake cycle, such as the urine production and body temperature. There was a study that effect of the change in circadian rhythm among teenagers. There was a school that changed their start time from 7:30 to 8:30. It has shown that the teenagers from that school were more alert and there were fewer instances where the student falls asleep in class. The accidents were also decreased by 16.5%. Compared to the other schools where the start time was still 7:30 in the morning, the accidents increased by 7.8%. The feeling of being jetlagged is the same feeling a teenager experiences if you wake him or her up early. This is the reason why you cannot expect teenagers to concentrate much on what they are doing during the early hours of morning. No matter what you do, a teenager won’t be able to sleep early at night. And he or she will be excessively sleepy in the morning. And this is not because they meant to do this, but because of the changes in the circadian rhythm of their body. They can concentrate more on what they are supposed to do if they wake up on the time that they’re body tells them to do so. 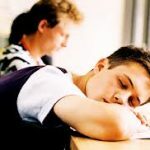 Teenagers need 9 hours and 15 minutes of sleep. So it is best to let them sleep as much as they want if possible. This is now a good reason to propose to school districts the change in the time their high schools start. Because of the proof that researchers can provide, there will now be less accidents and more good work from the teenagers in school.